Rachael Smith of Love from Ginger has made a free photo library of original stock images to download. They're not for commercial use, but you're welcome to print them, post them on your personal blog, or alter them under this Creative Commons License. 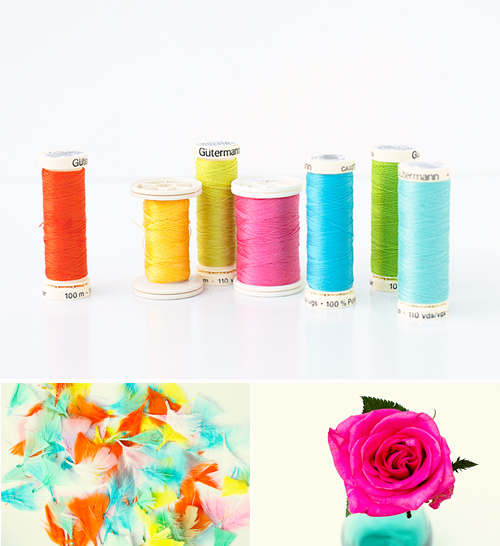 The spools image would be a pretty desktop wallpaper for people who sew, right? Rachel adds a new photo to the gallery every Friday. Great! I added that info to the post. these are gorgeous! thank you for sharing and thanks to Rachael too! Thanks for this, always looking for great stock photos!